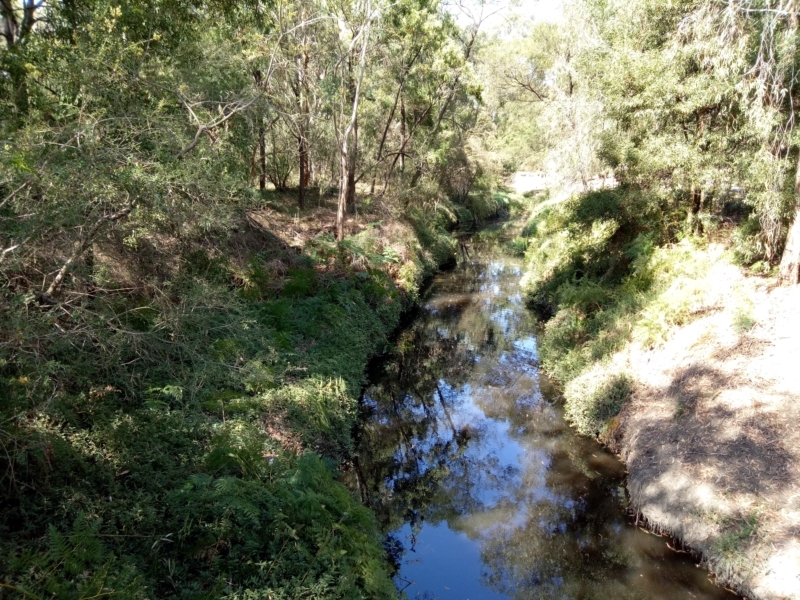 A great walk along the Gardiners Creek in central Blackburn. 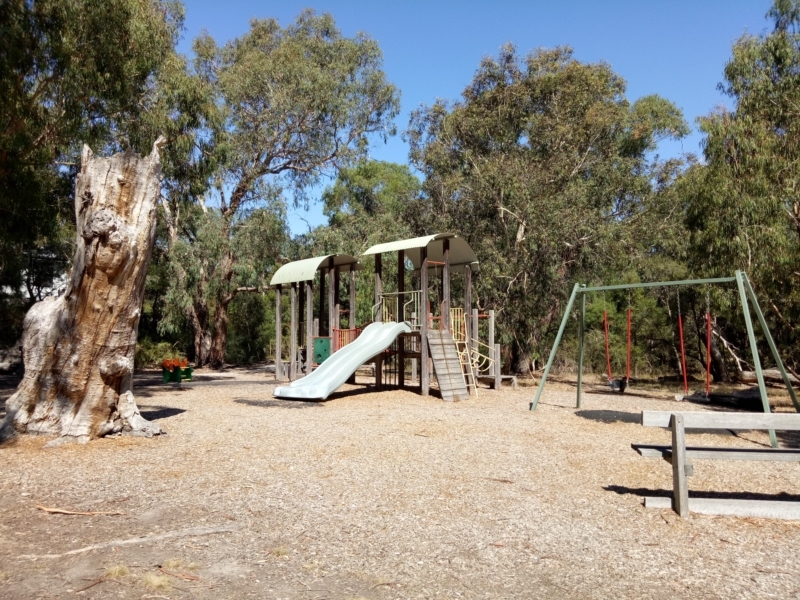 Three parklands form a continuous green corridor featuring a delightful mixture of bushland and open spaces. 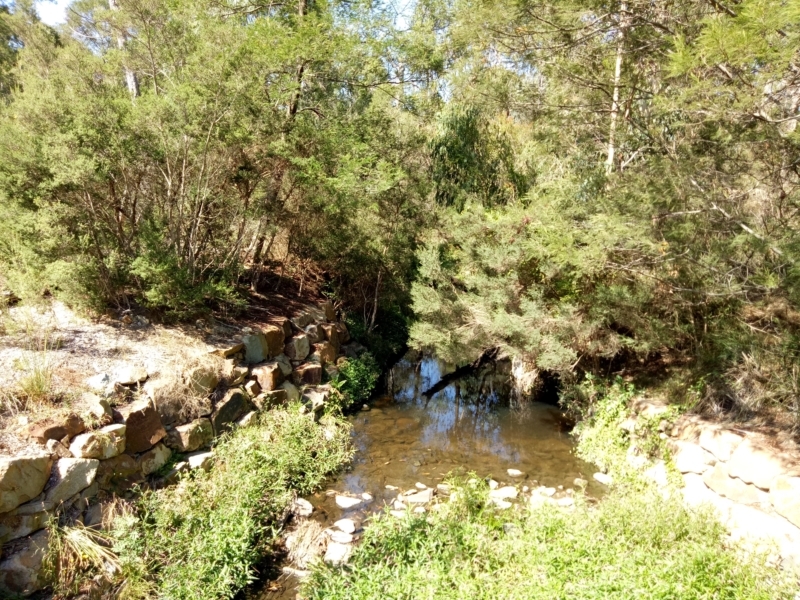 The Blackburn Creeklands consist of three continuous bushland reserves along Gardiners Creek in central Blackburn. 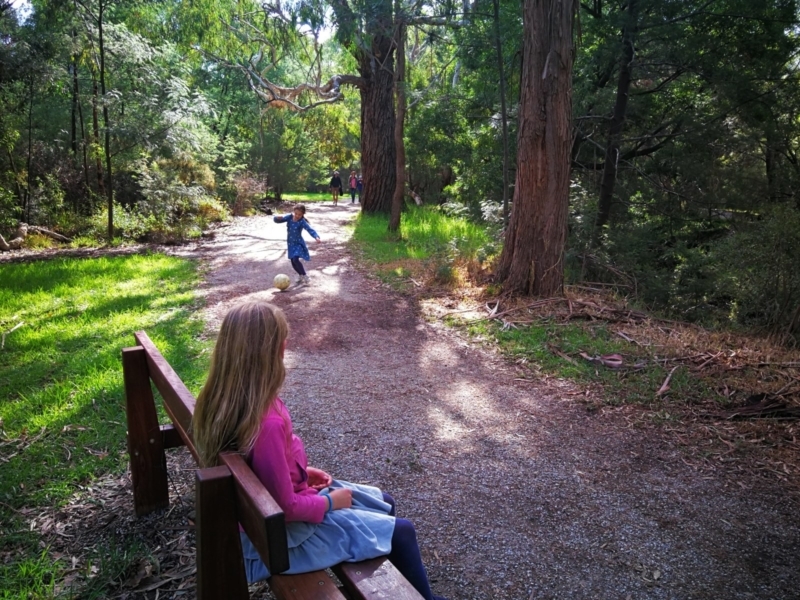 Blacks Walk, Kalang Park and Furness Park form a green corridor featuring a delightful mixture of both bushland and open space areas. 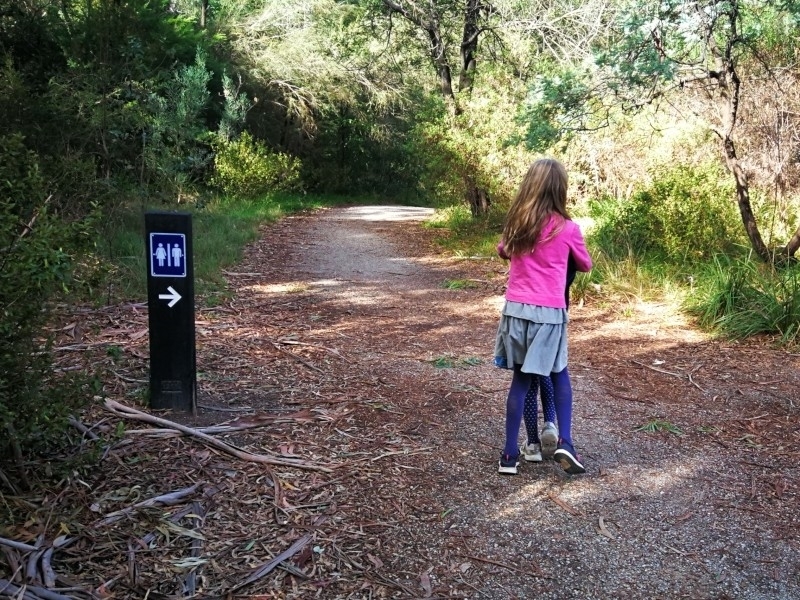 Great walking tracks follow the course of the creek as it traverses the splendid Eucalypts and more recent native plantings, cared for by local volunteers. 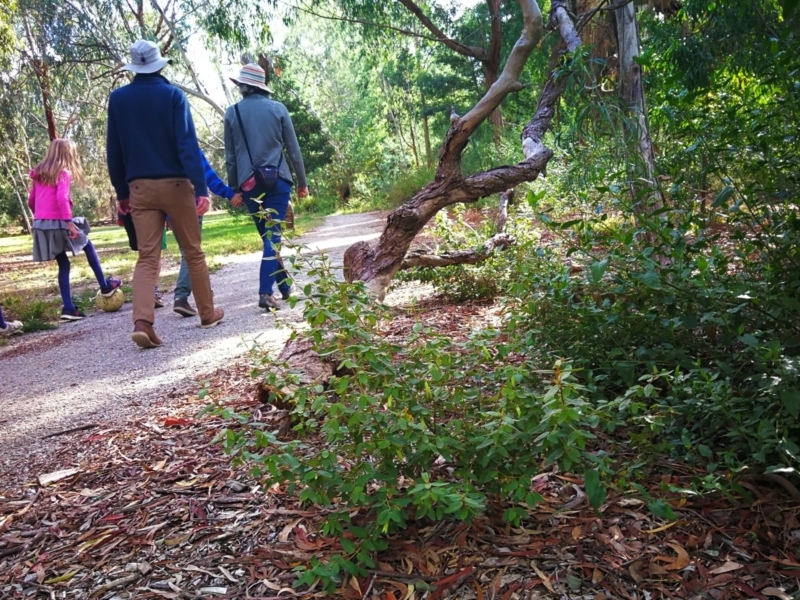 Volunteers and council help preserve the local environment whilst providing opportunities for a variety of recreational and educational activities. 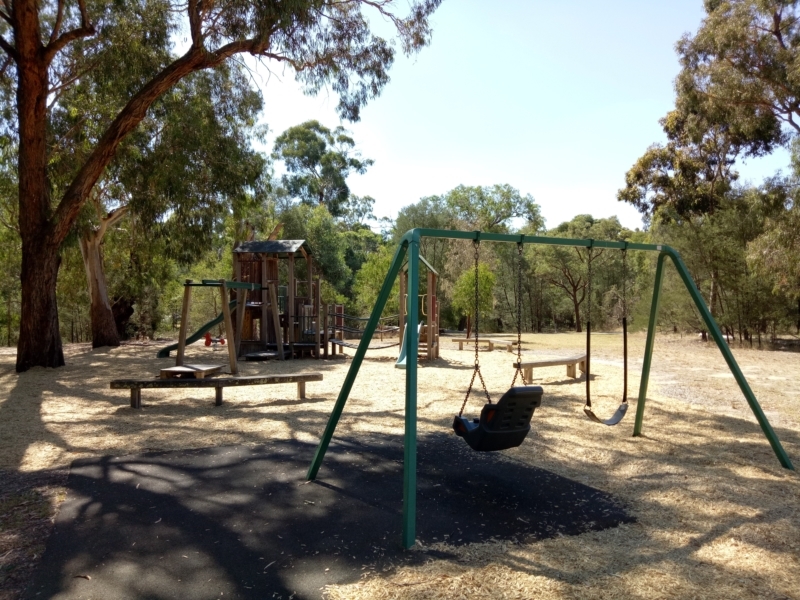 For more information about the Blackburn Creeklands Advisory Committee and their activities please click on the link. 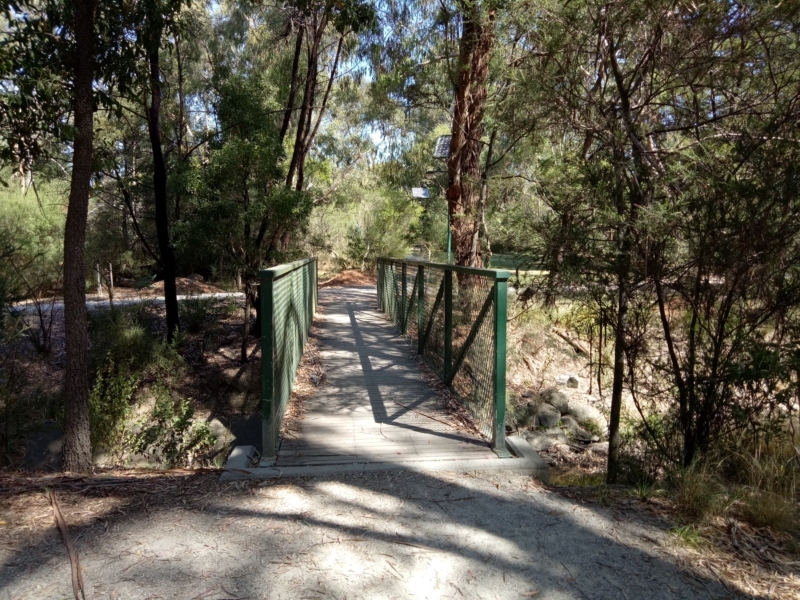 DOGS: Please note the dogs must be kept on-leash in all parts of the Blackburn Creeklands walk. 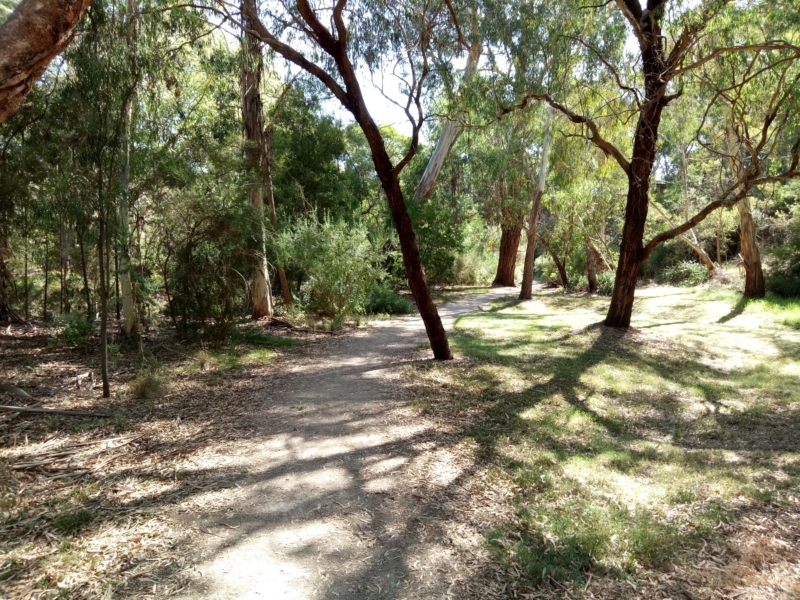 Walking through the Blackburn Creeklands really is stumbling upon bush in the suburbs! Enjoy. There's paths on both sides of the creek. Here's one of the bridges. A lovely, quiet and natural bush setting. 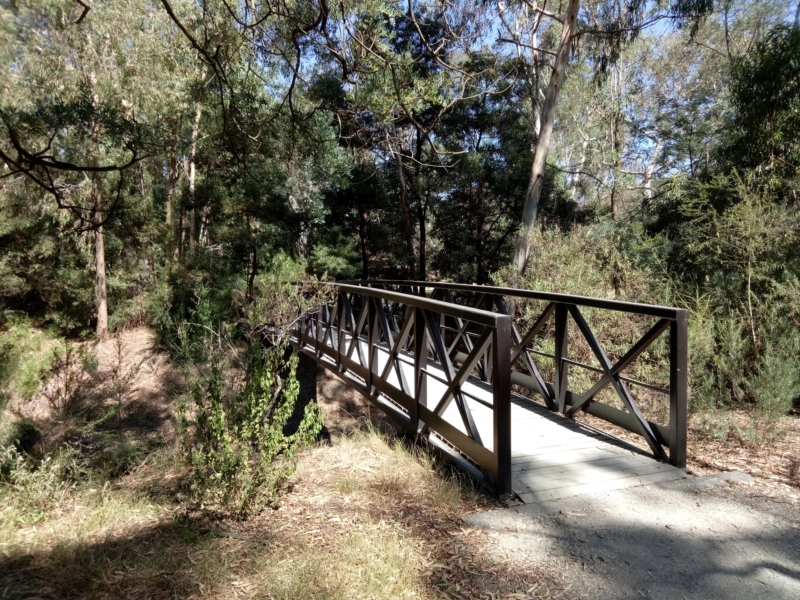 With paths on both sides of the creek, this is another bridge to get from one side to the other. A view of the creek from this bridge. 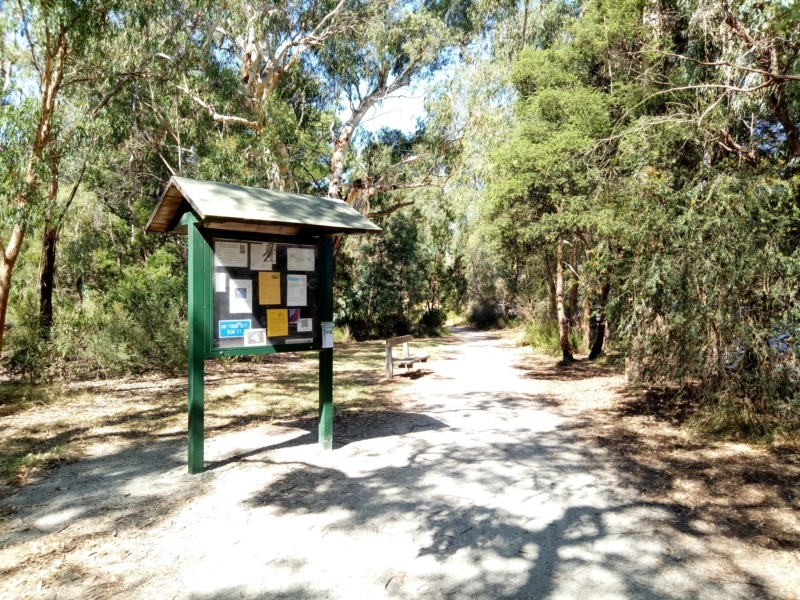 Check out this noticeboard for information about the parklands' flora and fauna and for notice about upcoming activities in the creeklands. 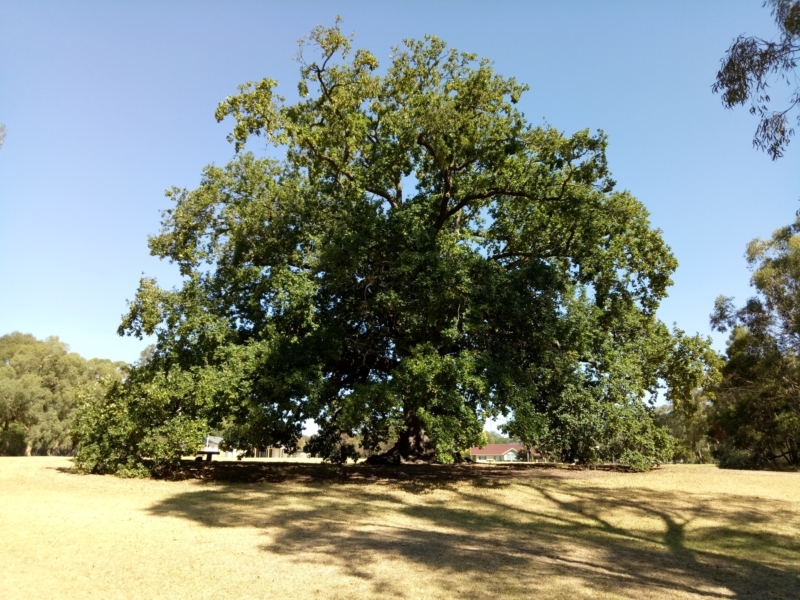 A fabulous old English Oak tree with a huge canopy. You'll see a sign from the main track pointing the way to some public toilets, located near the cricket ground. You'll find lots of places to stop and rest, or simply to pause and enjoy your surroundings.